I really love spring colours and was so lucky to receive 2 colours from my sister when I went to the conference. The first colour I am sharing is called "Fun in the gondola". It really is such a pretty shade of pink. Over Autumn and Winter I haven't really been wearing pinks and have really enjoyed getting back into my pinks. I don't know why, but the last batch of Essie colours I bought really didn't last all that well on my nails. Luckily this colour lasts much better where I get 3 days of chip free wear. I don't know why this is the case, but I am really happy this colour is lasting so much better. Essie remains one of my favourite nail polish brands - I love the packaging, the formulation, the innovative colours and the fun names they come up with. Thank you Samantha for the beautiful nail polish. 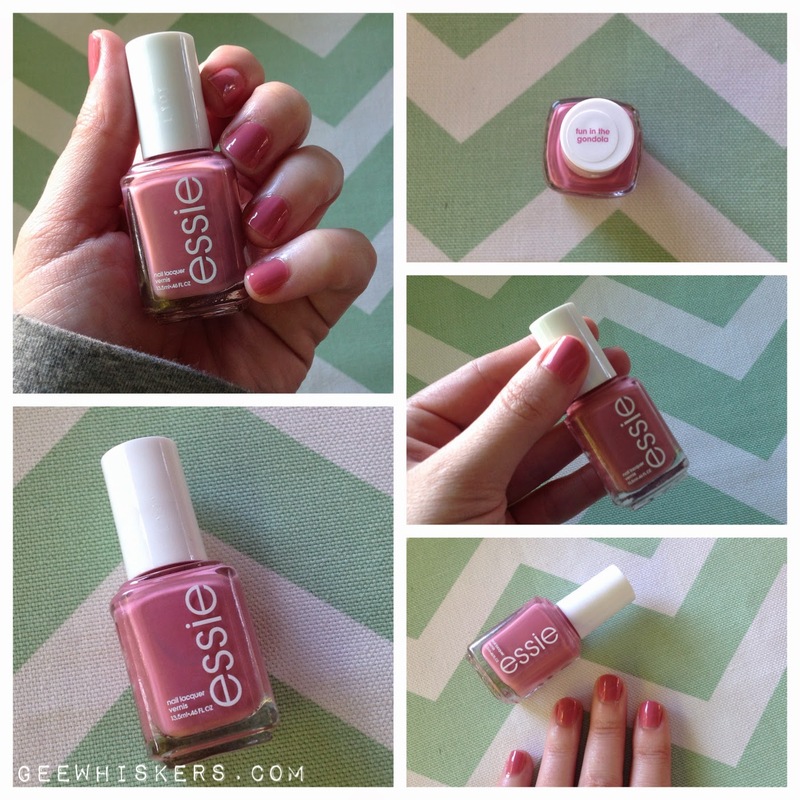 Essie is still one of my favourite nail polish brands.